Russian wooden nesting mushroom set. The large mushroom is 3 1/4" tall and 2 1/4" wide. 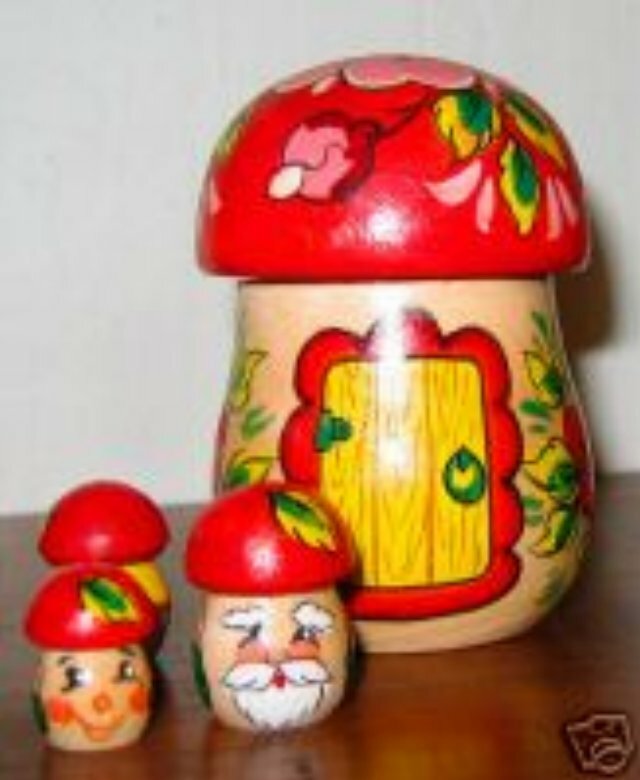 It is colorfully painted as shown, and the cap comes off to reveal three smaller mushroom people inside – a man, woman and child. There is a "made in Russia" sticker on the bottom.